Professional Quality 4" Pizza Cutter. White Plastic Handle. Stainless Steel 4" Blade. Country of origin: China. 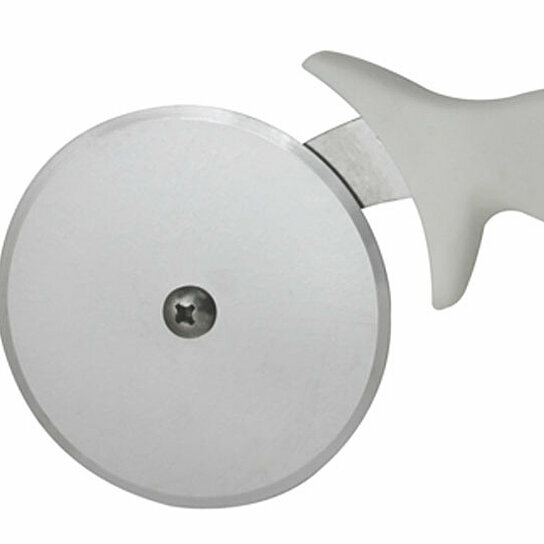 Professional Quality 4" Pizza Cutter.